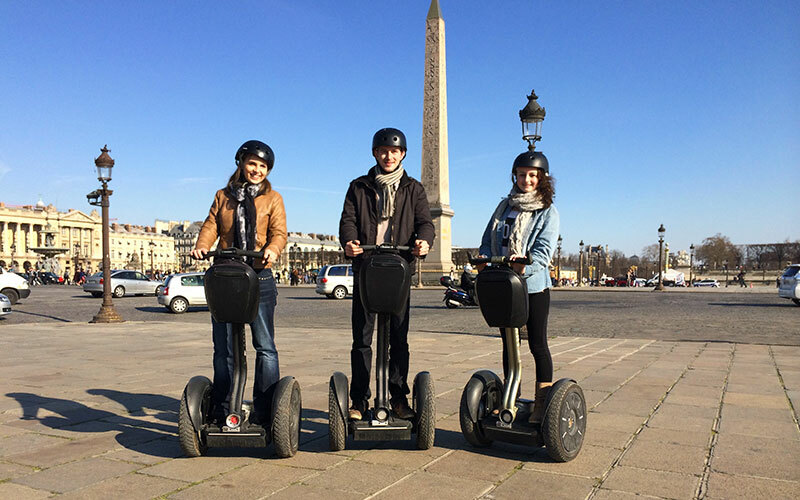 Where in Paris can I rent a Segway without a guide? I would like to find some place to rent a segway by a whole day. I don't need a guide. Is that possible? Upon arrival, you will be provided with training and safety instruction before starting your independent tour. After that, you will be free to explore the city of Paris independently and at your own pace for either one or two hours depending on the option you have selected. It's impossible to rent a Segway for all day, for a simple reason: they have a maximum autonomy of a couple of hours/12 kilometers (when not perfectly new). That's one of the main reason in most cities they are not rented (usually, at least) outside an organized tour: you'll end up with hundreds of customers everywhere accross the city to go to pick up 'cause they have no more autonomy left. And, in a huge city like Paris, just from Arc de Triomphe to Notre-Dame de Paris it's 6 kilometers; by casually going around you would end up without charge left even before having seen a tenth of the city. Not the answer you're looking for? Browse other questions tagged paris sightseeing or ask your own question. Which town/city is worth a day visit north/north-east of Paris? Where to practice violin 5 hours every day in Paris? Bistrot guide for Paris. Is there one online? How to transfer luggage from Paris to London? Where can I find a “Melty Cheese Wheel”?